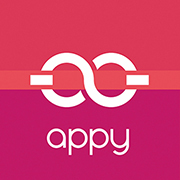 If you would like to delete your Appy Couple account, email us at support@appycouple.com from your admin email. Your account does not expire, and it can only be deleted from our end. In your email please state you are aware that when we delete your site, all your content (photos, guest info etc.) will be permanently deleted and cannot be restored. If you have created a custom domain subscription before June 2017, remember that per the terms and condition of the subscription, with no request to cancel the domain will renew automatically and cannot be refunded. If you do not choose to renew your custom domain, the standard Appy subdomain will still apply and be live. How do I change how our names appear on Appy Couple?